Creamy Blueberry and Banana Smoothie. 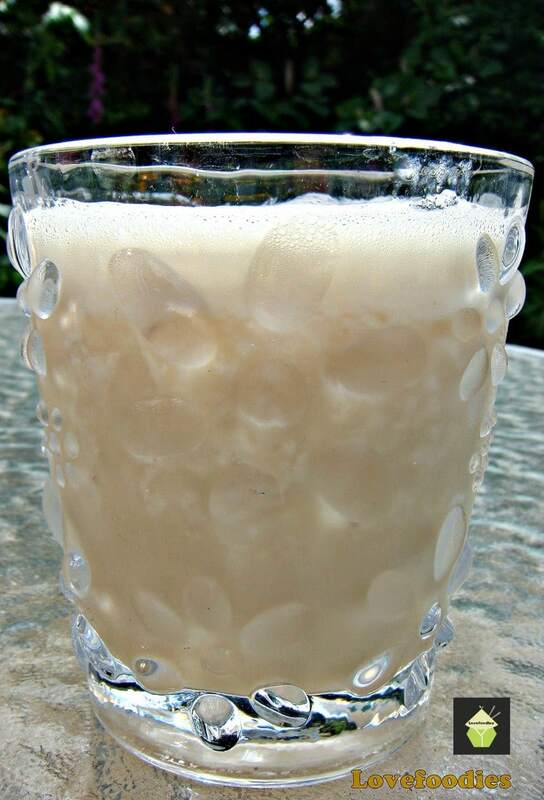 Super easy recipe and taste like a milkshake but without the cream or ice cream! Creamy Blueberry and Banana Smoothie. 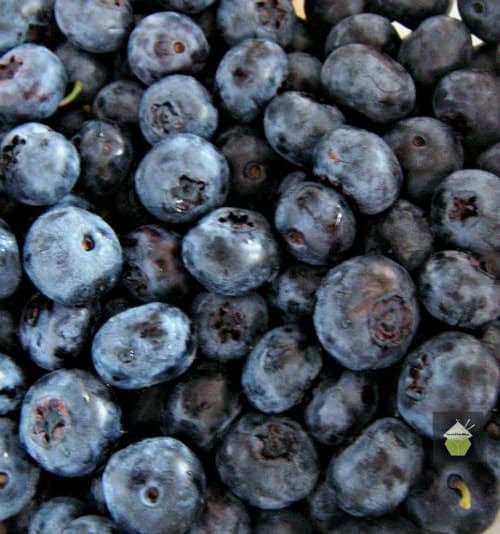 This is a really easy and quick recipe and a great way to enjoy blueberries! 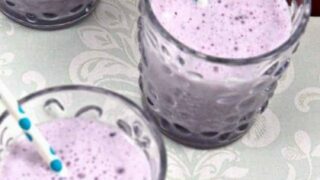 The simplicity of this blueberry and banana smoothie means that it is no effort to make, and what I have managed to do is get a ‘milkshake’ creaminess, but without using cream or ice cream. 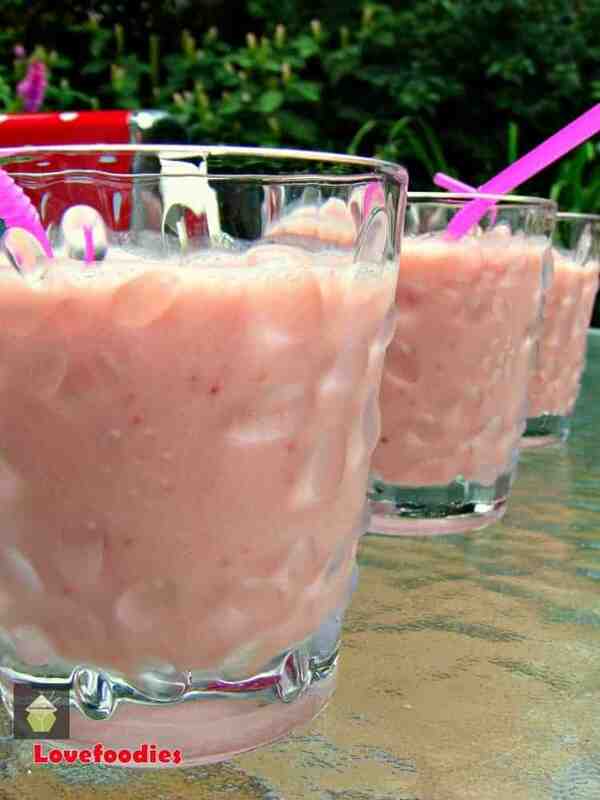 This smoothie recipe is flexible so you can make it as thick or thin a consistency as you wish. I have made it so you can use a straw (so it is not so thick). I’ve also used soya milk, simply because that is my preference. You can, of course, use regular cow’s milk, almond milk, or any milk you prefer. If you want to make the smoothie thicker than I have, simply add less milk than stated. Just add a little, see the consistency, and continue adding enough milk to your preference. For sweetness, I have added honey, which goes lovely with the banana and blueberry flavor. On occasion, I have used a drizzle of caramel sauce (the type you get for drizzling over ice cream), which was also very nice. The sky’s the limit so have fun, and most of all, enjoy your smoothie! 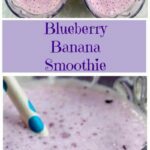 So let’s get straight to the recipe and see how to make this delicious blueberry and banana smoothie. Please enjoy! 1 Cup of Fresh or frozen blueberries washed and hulled. 1 pint or 550 ml milk of your choice. I use Soya Milk. 2 – 4 Tablespoons of honey to your taste. 1. Place all the ingredients and only HALF of the milk and 2 Tablespoons of honey in a blender and on pulse setting, blend until smooth. 2. 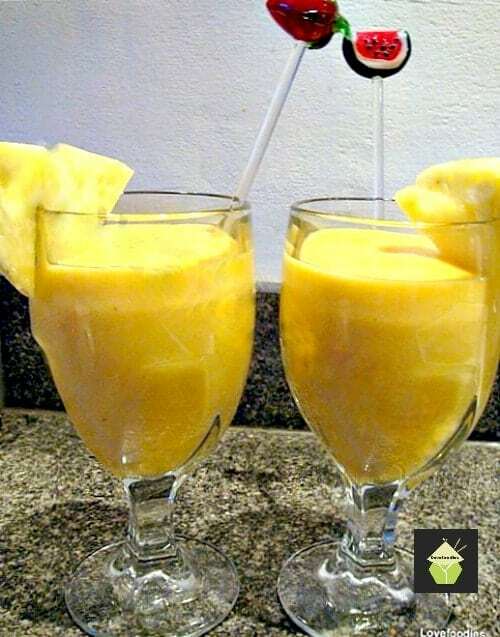 Taste the smoothie, and see if you need to add more honey, add now and blend again. Add the remaining milk and pulse or blend until all combined and frothy. 3. Pour into glasses and enjoy! **** If you are using frozen fruit, you may not need as many ice cubes. 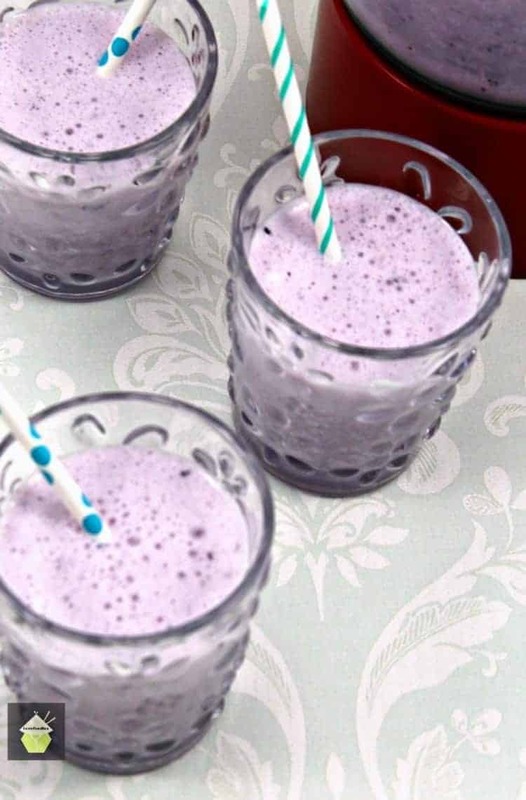 We’d love to hear from you and what you thought of our blueberry and banana smoothie recipe. Did you make any changes or add some other goodies? Let us know in the comments below. Thanks for reading and happy cooking! Got some bananas which need using up? 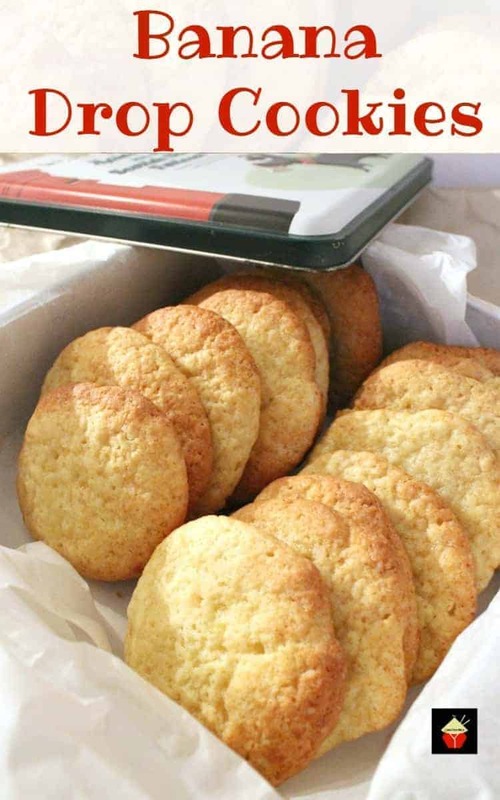 Here’s one of our most popular recipes, Banana Drop Cookies! 2 - 4 Tablespoons of honey to your taste. Place all the ingredients and only HALF of the milk and 2 Tablespoons of honey in a blender and on pulse setting, blend until smooth. Taste the smoothie, and see if you need to add more honey, add now and blend again. Add the remaining milk and pulse or blend until all combined and frothy. I used all the ingredients but added an extra cup of blueberries and a extra banana! It was delicious! I left out the ice and added old fashioned vanilla ice cream. OH BOY was it great!